Main characters: Amy, Dan, Nellie, Shep, Ian, Natalie, Isabel, Irina and Alistair. Irina Spasky is a Russian. She is one of Amy and Dan’s cousin. She usually tries to kill them like all other cousins of Dan and Amy. But when the house where uncle Alistair, Dan and Amy were staying catches fire, she saves them all and looses her life warning Amy about Isabel Kabra, Ian and Natalie’s mother. Whom I like and why: I like Nellie because she is truthful and trustworthy. She has taken care of Dan and Amy ever since they ran away from Aunt Beatrice’s house. Nellie helps Amy and Dan when they are in trouble. Nellie is their “au pair”. She buys them cell phones and all other things they need. Whom I dislike and why: I dislike Isabel Kabra. She is cold-hearted. She was the one who killed Amy and Dan’s parents, Arthur and Hope, by setting fire to the house they live in. she now tries to kill Amy, Dan and their “au pair” Nellie. She sets fire to the house where Amy, Dan and uncle Alistair are but Irina saves them and dies in the fire instead. Isabel is happy at Irina’s death even though Irina was a Lucian, the same as she is. 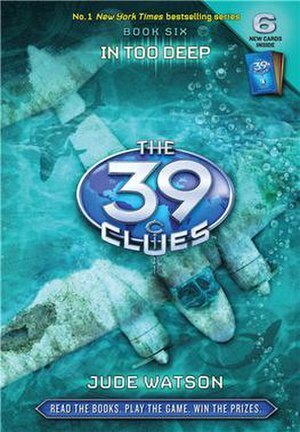 Setting/ theme of the story: Amy and Dan Cahill along with Nellie try to find out what their parents knew about the 39 clues. They get a lead on a man called Bob Troppo and while trying to find more about him, they get struck with their uncle Alistair in an island. Uncle Alistair takes them to a house. Isabel Kabra, the person who killed Arthur and Hope, tries to kill Alistair, Amy and Dan by setting fire to the building but Irina saves them and she dies instead. Amy and Dan understand that even though Irina had acted as if their enemy she had been a hidden ally. They decide to revenge the people who killed and people who supported Isabel and helped her carry out the plan. They make up their mind to win the hunt for the 39 clues for their parents, Arthur and Hope. Part I enjoyed the most: I enjoyed the part when Amy and Dan go surfing in Australia with their father’s brother ship.